I love the customer service; it is top notch by far. Each person that I have encountered, from my direct contact, IT, helpdesk, etc. has been absolutely amazing. Their tone, knowledge and overall sincere willingness to assist goes beyond the extra mile. Their response time is awesome as well. Additionally, I love the wide array of courses. We can have a need for "anything" and can go to OpenSesame and locate a course that fits our exact needs. How awesome is that! What do I like least...we had an issue with a particular person not responding as necessary. We tried to give her many chances before actually having to say something. I believe this was an individual issue and not representative of the company in its entirety. Once we mentioned it, it was rectified immediately. We are solving training needs for our business. We are trying to get our associates to take control of their professional destiny. We are able to do this by offering many different courses that we have categorized into learning paths (curriculums), with the help of OpenSesame. Benefits: Our management knows that if we need a course on a specific topic that OpenSesame is the answer and we can have it lickety split! There are so many topics and courses to choose from. I also like the ability to filter what criteria best meets my learning needs. I like the ability to search for a particular topic, i.e. Trust, Giving Feedback, Compliance, Wound Care, etc. When I search for a particular topic, i.e., building trust, feedback, teamwork, etc., hundreds of courses come up related to the subject; however, some courses come up that have no relation to the subject. This is frustrating as well as embarrassing when I am demonstrating the "search" feature to individuals and large groups. I also do not like that a large portion of the content is presented via slides with audio. Also, some of the content that I would really be interested in falls outside of Open Sesame Plus. If you can afford a more elaborate sophisticated learning solution, I would encourage you to do that. SkillSoft is very complex and sometimes difficult to navigate. On the other hand, Open Sesame is simple and the content is robust and very competitive when it comes to pricing. Open Sesame addresses our needs related to "just-in-time" training; however, our managers are not using the resource and therefore our ROI is very bad. We have also had to crosswalk the content to our leadership competencies to ensure that leaders are not wasting there time searching and participating in content that does not meet their needs or is inferior. We are primarily using it to address Leadership Development. My experience with the technical support team been amazing. I almost always receive a response within an hour of my initial email the support team has always been great in assisting with whatever issues my team has experienced. The variety of Safety courses for the US is also great as it allows us to assign comprehensive training to various teams at our company. The lack of courses available that are specifically catered for other countries. Having the courses available in different languages is great but they're often directly translated from the US specific courses. It is great for US based courses but does not have a great catalog of international courses including standards specific to that country. Benefits to business have included comprehensive training programs for various teams at our company. The customer service we have received from Emily Clack is outstanding. The comprehensive reports were helpful for determining how to proceed for the next year. Her emails are always returned in less than a day and she is available for a meeting with only a day or two notice. I receive emails up until 9 PM EST, so I see the extra dedication to make sure I receive a response. The Test Driven Development content is not available in Open Sesame Plus. The PPU model for certifications can become very pricey. A certification subscription or discount based on usage would be helpful. I would prefer an Open Sesame Plus subscription, however all of the content we utilize is not available in the subscription. I highly recommend Open Sesame to any company in need of IT and software course content. The customer service is world-class. We are able to meet client requirements through the course offerings. The most prevalent benefits are the certification trainings that other content providers do not offer. "Love the marketplace concept and good content, not right for my organization"
I liked that instead of getting one uniform experience (i.e., all the content looks the same), you have the ability to mix and match content that is right for your audience. The marketplace concept is a good one - instead of having one provider who has the business for a specific amount of time, you have multiple creators who have to compete for your business. It took a lot of time and energy to sort through all of the offerings in order to choose the best content. We used our global teams to help us vet content, and it was a lot of effort on their part. The lack of languages/translations made it difficult for us as a global organization to be able to use the content - especially when trying to create a uniform learning experience across the organization. Make sure that you have the infrastructure (HR, L&D, administrators) to support the strategy, and/or make sure that your learning culture supports the self-service learning model. The main business problem that we trialed OpenSesame to solve for was the lack of engagement that stems from a lack of on-demand learning opportunities. Having on-demand content is a big value add for our organization, and associates were excited to have options to choose from. There is a variety of courses and when we find one that suits our needs, the process of implementing the course into our LMS is almost seamless! Very user friendly with great customer support! There are OSHA certification courses that would be nice to see on OpenSesame. Last time I talked to customer support, they were already looking into the courses though! OpenSesame takes the hassel out of finding courses, there is such a wide range of courses available that we almost always find what we need from OpenSesame. "OpenSesame has great selection and customer service"
I appreciate that OpenSesame has so many course offerings that are available for an organization to select for their employees. Their search functionality is helpful when selecting courses. The many different providers available is helpful, so that we aren't stuck with courses made in the 1990's. Downloading the SCORM packages for connection with the LMS is easy and takes little time. Their customer service has been excellent. We have had some issues connecting courses with browsers, and it doesn't seem like the issues are consistent, so it's been difficult to troubleshoot. OpenSesame allows us to select relevant courses for our employees. The cost of the PPU program is really helpful and flexible, and I would recommend it to smaller businesses like ours. you can get all sort of courses for all domains and skills at one place. with good filters you can check and look for you exact courses very easily. user friendly UI. 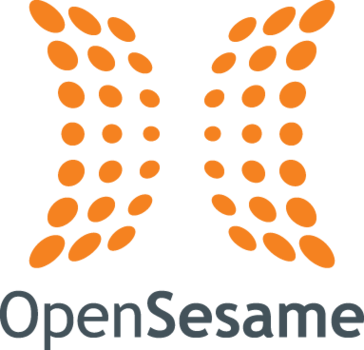 We are working with Opensesame as their partner or re-seller for their courses across the globe. Ability to chat on demand with an agent if I have issues. When I have had an issue and can't get immediately in touch with my representative due to time zone differences, I can always just open up a chat with an agent. Some of the courses aren't at the quality level I would like to see. We have gotten around this by only selecting a couple of authors from the Open Sesame selection. Better quality of eLearning authors. Quick off the shelf content! This allows us to quickly add a course that the business needs almost immediately. It was easy to roll out to over 70 employees. There is also great customer support. Get some addition support for the roll out process. How to educate employees in an efficient manor. The guys are taking the classes and meeting the compliance needs. "Great selection of courses but many technical glitches and customer support is inefficient"
OpenSesame offers a great selection of professional development courses that spans a wide variety of topics. The courses are very inconsistent in theme and look depending on the vendor. There also tends to be many glitches in courses and customer support is inefficient in solving issues because they are a third part provider and need to contact the actual provider on the course for resolution. I have viewed many topics within OpenSesame's library and some topics have led to increased knowledge. "Great vendor offerings for LMS courses!" Over 20,000 titles from which we can select courses, a great account manager, and speedy reply for any questions. There isn't anything that we do not like. Ad-hoc resources to meet various global learning needs. "Nothing but a great experience"
Open Sesame has great product support. When we were looking for classes for our LMS they were very hands on in obtaining sample courses for review, and working with content creators to find what we were looking for. Any issues we have experienced were LMS problems, and not so much Open Sesame problems. Open Sesame helped us launch our LMS with great off the shelf courses for Cyber Security and Harassment. "Have to sort through to find the best courses"
Some courses have good content, but are very out-of-date, such as using an example of using a hard copy phone book. Even if the content is good, people will dismiss the learning because of the old references. "Great resources for compliance courses"
I like the ability to put limits on seats and to monitor when we are reaching our max for budget. I do not like the billing process. We have to pay a monthly fee versus being able to pay as we go [depending on number of seats used]. The way that payment is set-up is kind of wonky. The set up process was super simple. One of the easiest vendors i've ever worked with. The pay per use model was also a huge incentive for us to work with OpenSesame. I don't have any complaints with OpenSesame. We've greatly increased our employee development opportunities through eLearning. This is also increasing overall employee engagement. "We received a set of OpenSesame courses through our LMS provider Silk Road"
It provides a good selection of Office courses (Word, Excel, PowerPoint). The previous provider of e-courses provided a wider arrange of course options including things like Project Management, Sequel. Mostly the Office courses are being used. We do not have staff that trains on those products. "Easy Install, Good customer service"
OpenSesame does have a wide variety of options. Syncing the content to our LMS was EASY!!! Having to go through them to update/correct their vendor (Vivid) content. Process is slow. vendor content doesn't always load quickly. Great customer service team at OS. Very responsive and patient. "Great way to plug content into your LMS"
The fact that I routinely run out of uses of a course in our LMS w/out the necessary warning. difficult to get replies and assistance. Working through the cloud, other managers can't assign courses, can't easily have people re-take a course. problem getting user information and resetting passwords, seeing their dashboard, resetting courses. I would like to be able to swap courses. There are many topics / courses that we do not use. "Lots of courses, implementation not the best"
There are a variety of courses to chose from. "Much stronger on soft skill training than technical or software training "
customer support and service excellence. IT Skills, upskilling much faster to compatence level. * We monitor all OpenSesame reviews to prevent fraudulent reviews and keep review quality high. We do not post reviews by company employees or direct competitors. Validated reviews require the user to submit a screenshot of the product containing their user ID, in order to verify a user is an actual user of the product. Hi there! Are you looking to implement a solution like OpenSesame?